Poaching eggs is often considered a bit of an art form, but once mastered, using egg poachers to prepare healthy, delicious meals with the attractive visual appeal of poached eggs will soon become second nature. This is particularly true once you have found the perfect egg poacher set to meet your needs and have had the opportunity to practice poaching eggs to find the perfect cooking time for the consistency you and your family prefer. 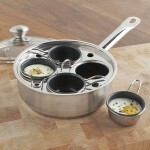 The first step in learning how to poach eggs to perfection is determining the right egg poacher to purchase. 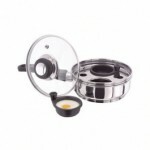 With many egg poachers to choose from, you will be able to select the one that works for you, such as a microwave egg poacher, electric egg poacher or steel egg poacher. 1. Fill the egg poacher pan with enough water to immerse the bottom of the egg poacher cup. 2. Place the egg poacher cups into the pan. 3. If you are not using a nonstick egg poacher, grease each egg poacher cup with a small amount of butter or oil to ease removal after cooking. 5. Crack each egg separately and place each egg (without shell) into an egg cup. 6. If you do not use each egg poacher cup for an egg, put a small amount of water in the empty cups to prevent damaging them. 7. Add a dash of salt and pepper, if desired. 8. Lower heat and cover with a lid to hold the steam inside to poach the eggs. Egg poachers with a clear glass lid will allow you to more easily monitor the cooking process as you determine the length of cooking time appropriate for your desired firmness. 9. Cooking time will vary, depending on the consistency desired, but will likely be around three minutes. 10. Gently remove each poached egg from the egg poacher cup and serve on toast for a quick, healthy breakfast or try eggs Benedict for a more savory meal. 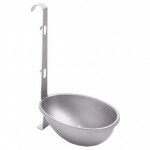 It is much simpler to learn to use egg poachers than many believe. Once you have had the chance to practice poaching eggs with an egg poacher and to determine the cooking time, your new egg poaching skills will provide an easy, healthy meal option for you and your family or guests. This entry was posted on Saturday, August 29th, 2009 at 1:42 pm	and is filed under Egg Poacher. You can follow any responses to this entry through the RSS 2.0 feed. You can leave a response, or trackback from your own site.